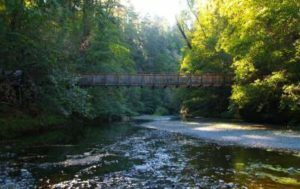 Located in the breathtaking Sonoma County redwoods and nestled along the banks of beautiful Austin Creek, Cazadero is available as a rental for your event when camp is not in session. With availability in the spring and fall, Caz offers a magical spot for your group event; a wonderful outdoor experience for your school program; a beautiful setting for an outdoor wedding; or a fantastic site for for your next family reunion. Find out more below about renting the camp facility for your group or event and contact the Berkeley office with questions. We look forward to hosting you and your group at Caz! 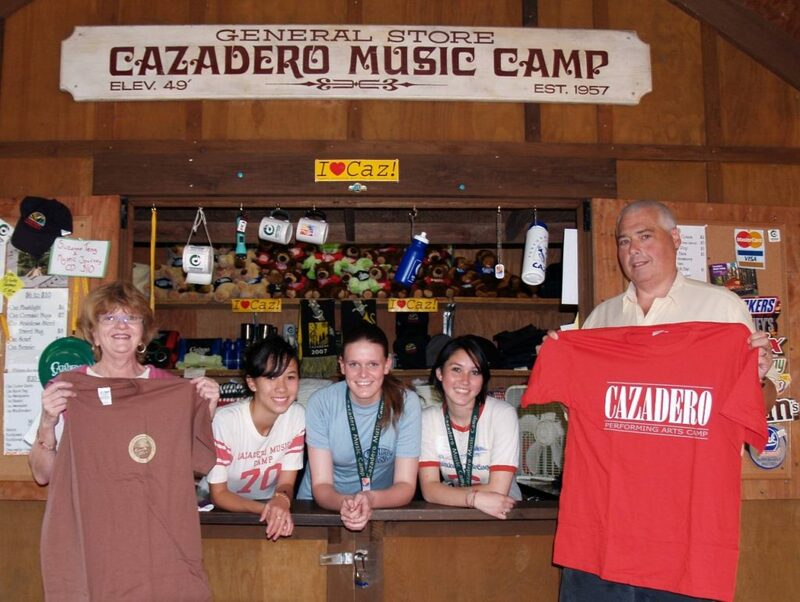 The Lutt Family Amphitheater: The pride and joy of Cazadero Music Camp is named after the founders of Cazadero Music Camp, Bob and Beth Lutt and their family. With a new and dramatic roof constructed in 2009, the amphitheater is a great venue for concerts, rehearsals, theater or even a wedding. The Rehearsal Deck: The rehearsal deck in the Family Grove area of the camp is a great location for rehearsals, dancing, receptions, weddings or just plain hanging out. The Caz Lodge and Deck: The Lodge can serve a variety of functions for your group. It can accommodate a small program, be the focal point of your group event and is great for evening activities. The Deck along the back of The Lodge overlooks Austin Creek and is a great place to eat meals, meet, rehearse or sit back and relax to the sounds of the creek below. The Dining Hall: Typical camp food this is not! Enjoy the comforts of being away from home with three delicious and nutritious meals a day. With a capacity of 250 per seating, the dining hall is a focal point for meals, programs, meetings or evening activities. Head Chef Anita Mazzaferro will work with your group to provide excellent food with great service to you and your group. The Pool: The Caz Pool is the refreshing and cooling spot at Caz. Use the pool or just the patio for a poolside gathering. Groups using the pool need to supply their own certified lifeguard. Recreation Courts and Field: Even at music camp kids need recreation. Basketball, volleyball, ping pong, softball, football, soccer and a whole lot more are available at Caz. Use the camp equipment or bring your own. Austin Creek: With Austin Creek meandering through the camp grounds, the options for fun and education are endless. Watch for herons, steelhead and even the famed Caz shrimp. Walk the banks and see all the frequent visitors to Caz and Austin Creek. Infirmary: Caz has a health lodge located in the center of camp for campers that get hurt or find that they don’t feel well. Although Caz does not supply a nurse for rental groups, groups have access to the infirmary. Dorm Rooms: Caz has 12 dorm rooms available for use while renting the camp. The dorm rooms sleep two comfortably and are furnished with cots and mattresses. Each room is in close proximity to a bathroom and shower. Tents and Tent Decks: Tents and tent decks are unique at Cazadero. Canvas tents fastened over a tent frame make these an weekend home you will enjoy. Caz has 46 tent cabins located on 33 tent decks. Each tent sleeps up to four and are furnished with cots and mattresses. Each tent deck has an electrical outlet and all are located in close proximity to a bathroom and shower house. Some of the tent decks are larger than others and provide an additional area for rehearsals, meetings gatherings or a quiet enjoyment of the great outdoors. Bathrooms and Showers: Bathrooms and showers are located throughout the camp at Caz and have the flexibility to separate for genders. The Family Grove, Girls Camp, The Amphitherater, the Small Dorm and Boys Camp are all in close proximity to a bathroom or shower house. Cazadero has a number of fee options for your group rental. Please contact the Berkeley office for more information or to discuss your groups rental. As a condition of our long-term lease with the City of Berkeley, Cazadero offers a 10% rental fee discount to non-profit groups and school groups from Berkeley. Weekend Rentals with Food Service: For groups renting the facility on weekends Caz can offer food preparation and service. Our accomplished staff, led by our head chef will prepare and serve delicious and healthy meals for your group. Our chef will work with you on the menu, any dietary restrictions and the timing of each meal. Meals include Friday dinner through Sunday lunch. Rates (Friday through Sunday): Weekend rental with food service: $125/person/weekend Berkeley Group Rate – $110 person/weekend. With its tremendous canopy of redwood trees as a backdrop—Caz is a beautiful location for your wedding and has hosted a number of them in the past. One-day wedding rentals are for the facility only. We require that you use our in-house catering. Sorry—no outside catering or private use of the kitchen. Your wedding party and guests will have use of the whole camp, its buildings and its beautiful scenery. Rates (Friday through Sunday): One-day weekend wedding rental $2,500 per day plus catering costs. All rentals require a non-refundable $500 security deposit with a signed rental agreement and sublease agreement provided by Cazadero Performing Arts Camp. The balance of fees are due one week prior your arrival in camp. Cazadero also requires each group to provide a certificate of liability insurance. You can check the availability of the camp for any given day or weekend on our Event Calendar or by contacting the Berkeley office.